So I planned to write this blog post yesterday afternoon, following my midday midwife appointment. In the end, my first midwife had been triple booked so I eventually saw a different midwife at 6pm. The appointment at 16 weeks is generally just a checkup and a chance to listen to the baby’s heartbeat. 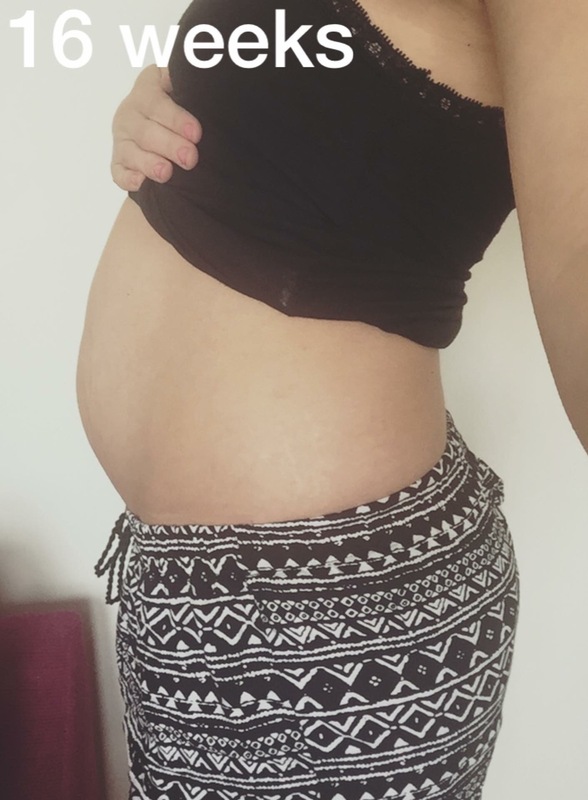 I’ve been a bit worried as I can’t really feel any movements yet, and as its my third pregnancy I would imagine I should by now so I mentioned it to the midwife. When she couldn’t find a heartbeat, I panicked and I think the midwife was a little concerned too. She sent us down to the maternity hospital and luckily we were seen pretty quickly by two female doctors who used a portable scanner to check on the baby. Thankfully the heartbeat was clear on the screen and baby was moving around loads and even looked like it was waving at us. The relief was huge. The doctors were so lovely and even tried to print a copy for us but they weren’t able to. We were just happy to know our baby was ok. The doctors reassured me I should be able to start feeling the baby soon but it wasn’t unusual to not feel much until 20 weeks, even in subsequent pregnancies. Other than the baby scaring us like that, I’ve been generally feeling ok other than extremely tired. My cravings have gone crazy as well, I currently love fresh orange juice, but it has to be tescos own extra special juice, and KFC burritos (although it would work out costly so I’ve had to settle for some breaded chicken in pitta bread with salsa, woe is me). I also still love my chips, covered in vinegar. My bump is definitely showing now, and even the midwife seemed a little shocked I wasn’t hiding a twin in my belly as apparently my uterus is higher than it generally would be at this stage as well. The doctors assured me there’s definitely only one in there though, so I’m just going to end up with a big baby I think, eek. As I’m writing this I feel like I might be feeling my first few flutters from the baby, so that’s quite exciting. It must be making sure I know it’s ok.